During this week's podcast, we review our second film of the year. If you have yet to see the film, be sure to check it out on our website or Facebook page before listening to this podcast. We travel to the Deep South in Mississippi where we turkey hunt and complete a habitat management plan for the Bennett Family. We faced tough turkey hunting conditions, but the consultation is packed full of great information to help hunters and land managers across the South. 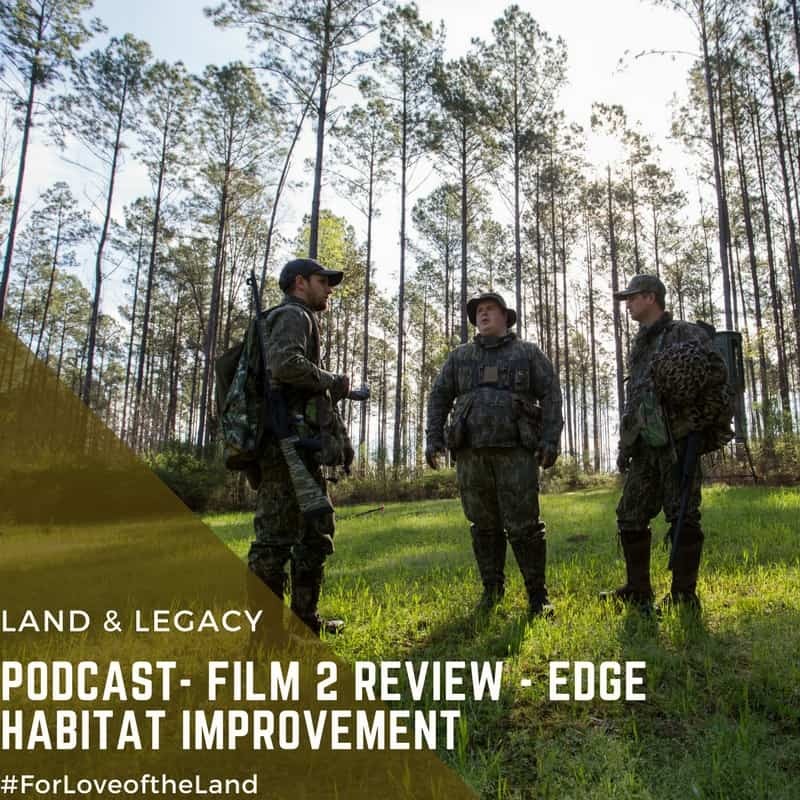 Included in this podcast we cover topics like pine plantations, clear cuts, and thinned pines, and more specifically edge habitat. There are several benefits we cover regarding edge habitat that should be present across each property.